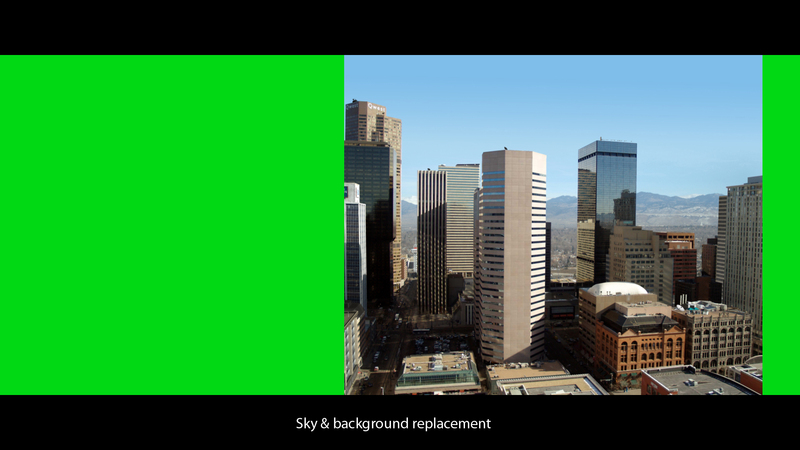 Denver Camera Projection from lee baskerville on Vimeo. 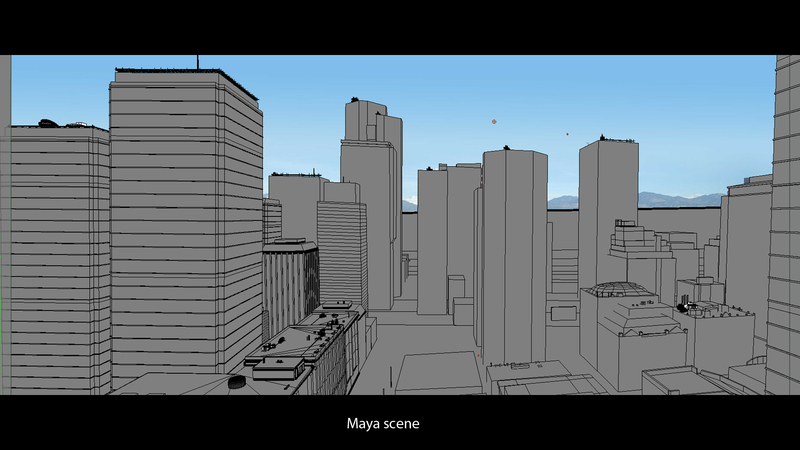 A Maya camera projection project. 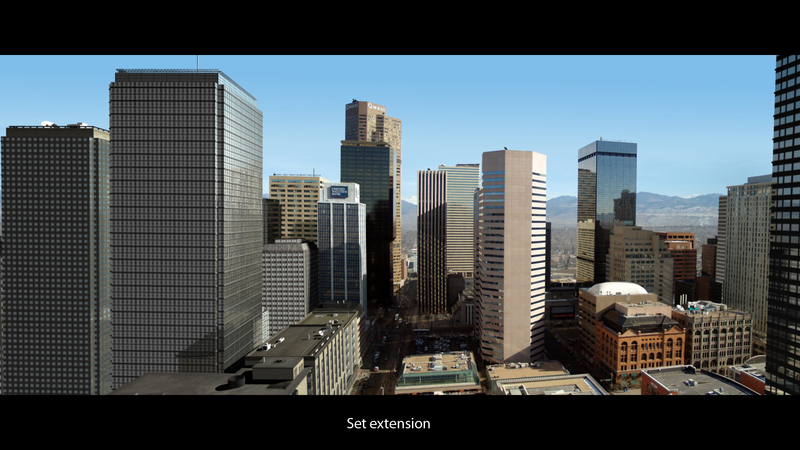 The animation required a set extension and background replacement. 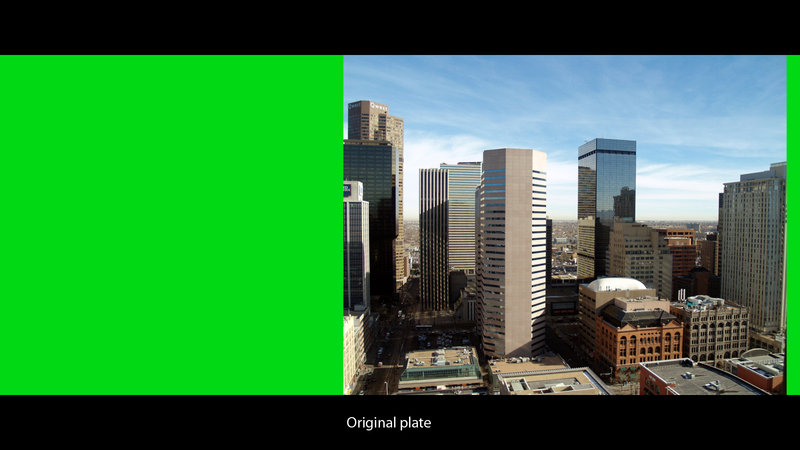 The original plate was edited in Photoshop and projected on simple geometry in Maya.